Ron Main, George Poteet and Kenny Duttweiller will be panelists at this one-of-a-kind event on Feb. 19. 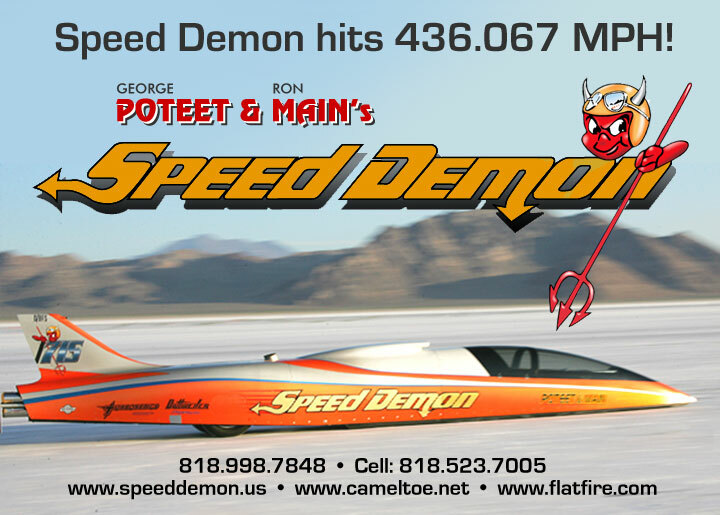 Speed Demon wins Hot Rod Magazine's Bonneville Trophy for the third year in a row. 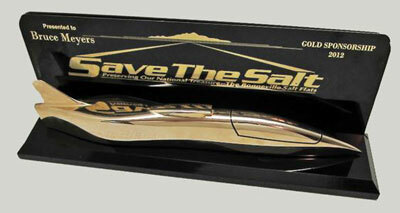 “Save the Salt” Fundraiser - click on the photo to see how you can help!